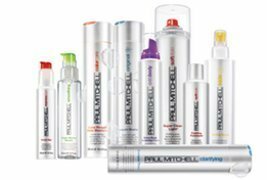 Beauty Works only uses Paul Mitchell hair care products in our hair salon and we are an authorised Paul Mitchell stockist. To show my gratitude for your first visit to our hair salon you qualify for a free consultation and a $25 discount on any hair service. With 27 years of experience as a hairdresser in this industry, the management and staff of "Beautyworks" have committed themselves to the highest standards of professional and fashionable hairdressing by using the right balance between the consultation, haircut, condition and chemical service to reflect your inner beauty. We ensure this by using only Paul Mitchell hair products and the bhave keratin smoothing treatment as well as continually improving our professionalism. 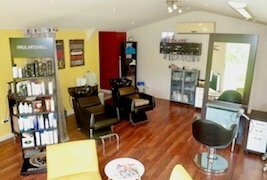 In a tranquil environment in the Bonogin valley, close to areas like Varsity Lakes, Mudgeeraba, Reedy Creek and Robina, enjoy a professional hair salon with a difference! We hope that your experience at "Beauty Works" is as relaxing and rewarding as we intend it to be! Have you tried a Healthy Hair Diet? To show my gratitude on your first visit to our hairdressing salon you will qualify for a free consultation and a $25 discount on any hair service.